If you want a new vehicle with three rows of seating, and you’re on a tight budget, your options can become surprisingly limited. ALSO SEE: Is The Ford F-150 America's Favorite Luxury Vehicle? Affordability is the issue. There's no dearth of vehicles offering a handy third row and seating for six, seven, or eight. But once you start shopping for a vehicle with third-row seating, you may find yourself cross-shopping mid-size or larger crossovers—models like the Honda Pilot, Ford Explorer, Toyota Highlander, Nissan Pathfinder, or Chevrolet Traverse, where the price of entry begins, in most instances, above the $30k mark. Those models are all worth considering as late-model used vehicles; but if you want a brand-new vehicle with a third row good for carrying an extra two or three kids from practice, or making room for the in-laws on the way to dinner, there are a number of options well below that price range. And not all of them involve cutting corners on comfort, performance, or safety. Click to the next page to see six of the lowest-priced 2015-model-year crossovers and vans offering three rows of seating. 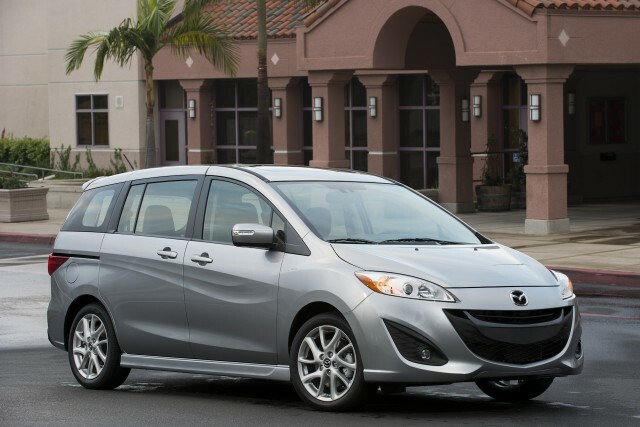 Quick Take: The 2015 Mazda 5 has good road manners and clean styling, but its flexibility is undercut by poor safety ratings. The Mazda5 is no longer offered with a manual gearbox, sadly; but it does remain one of the most fun-to-drive and responsive-handling models you can get with three rows of seating. 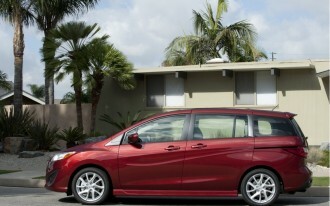 Try to see past the minivan associations; it’s essentially a tall-wagon version of a small car underneath it all, and it drives that way, with exceptional maneuverability and efficiency for urban commutes. But it does have one serious inadequacy: unimpressive results in American crash tests, and a lack of active-safety features or options. 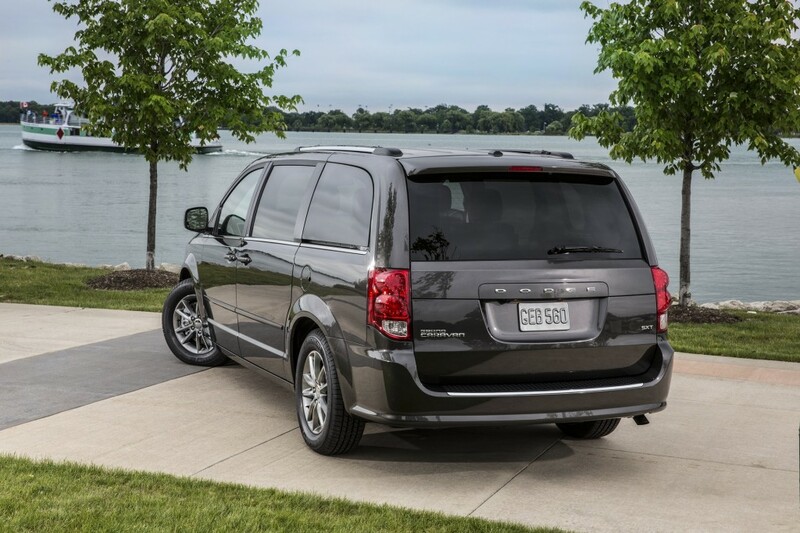 Quick Take: The 2015 Dodge Grand Caravan is the evolved version of the original minivan, supplying the useful features and clever touches at a very good value. Yep, this is the modern, updated version of what was once an American family staple; and Dodge has made them an especially tantalizing value in recent years. Go for a trim level called the American Value Package, and you can get a reasonably well-equipped version of the Grand Caravan, powered by the smooth Pentastar V-6 and six-speed automatic transmission, for just $22,390. 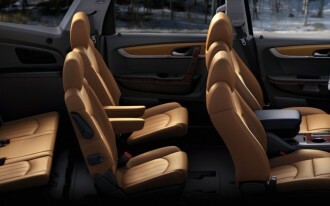 It even includes Chrysler’s impressive Stow ‘N’ Go seating. 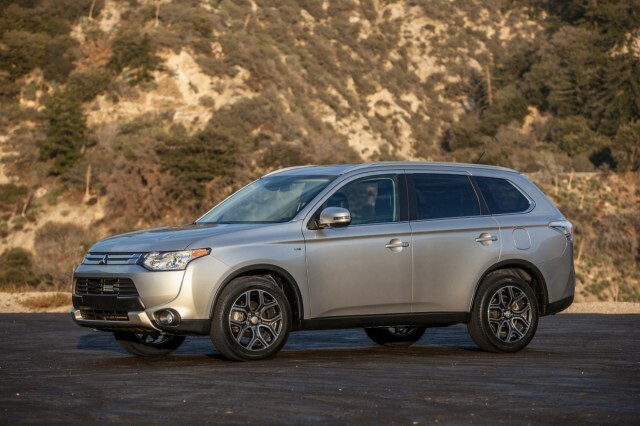 Quick Take: The 2015 Mitsubishi Outlander isn't nearly as sporty as previous generations of the model, but it's now a decent choice for big families on tighter budgets. Hang in there; the Outlander has a lot going for it—if you can look past its rather plain-looking exterior, a lack of enthusiasm in the driving experience, and the lack of luster in Mitsubishi as a brand. In its more affordable four-cylinder forms, the Outlander feels lean and purposeful yet warm and accommodating. It has impressive safety ratings as well, and the third row folds into the floor rather low when it’s not in use. A quiet interior, as well as a pretty good set of standard features all add up to a model that’s at its best when you keep it simple. Quick Take: The 2015 Nissan Rogue may have a small third row, but it's a better car than the previous generation in virtually every way. 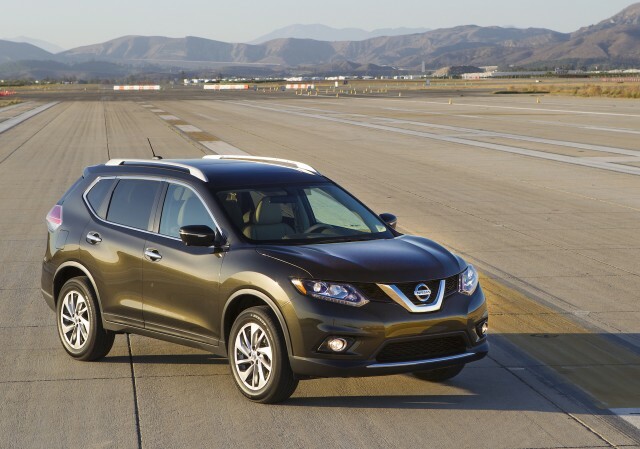 The Nissan Rogue is a relatively compact and very fuel-efficient crossover, but it does offer an available third row, as part of a Family Package that adds just $1,190 to the bottom line. Just beware that this is the sort of third row that you’ll keep around only for occasional use by small children—no teenager or adult space here. One note: in going with the three-row setup, you’ll forgo a spare tire and get run-flats instead. 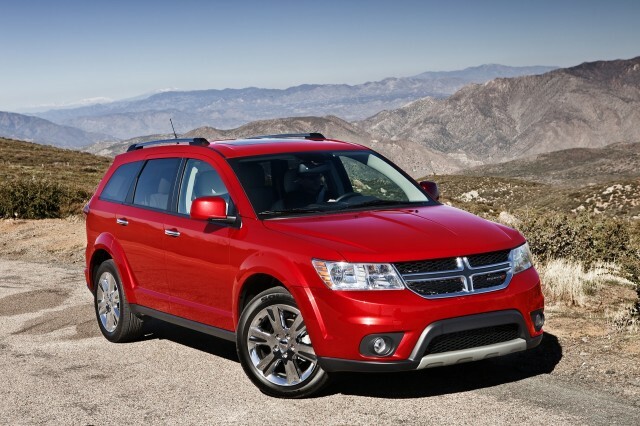 Quick Take: The 2015 Dodge Journey is at once an alternative to minivans and large crossovers, with intelligent packaging and good value. 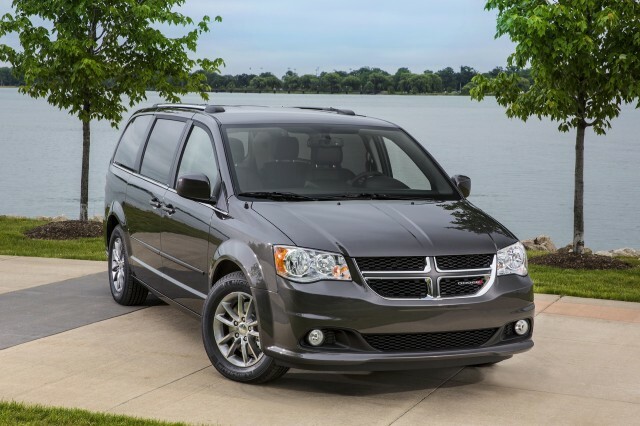 The Dodge Journey is a pleasant-riding, well-configured crossover for family use. You actually might find Journeys for sale for thousands less than what we have listed, but that’s what it officially talleys to once you add the $1,700 flexible seating group, which adds the third-row seat and includes rear air conditioning and heater vents, as well as a 40/60-split tilt-and-slide second-row seat. And we’re not huge fans of the four-cylinder models as they can feel winded with a full load; too bad V-6 models cost several thousand dollars more. 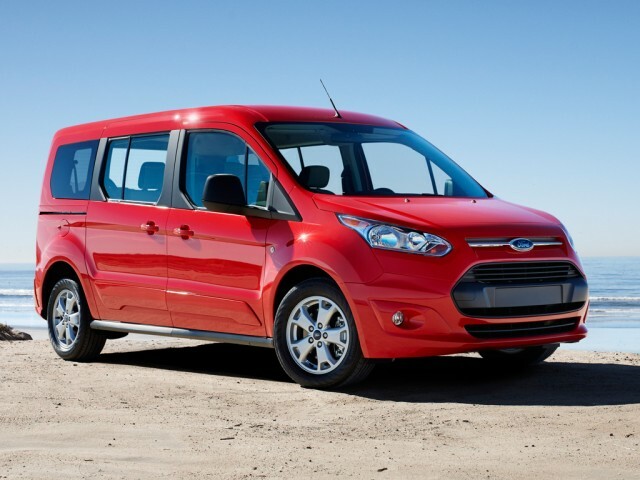 Quick Take: The 2015 Ford Transit Connect eschews the ungainly mass and size of traditional commercial vans, while the nimble, appealing Wagon that will remind some of when minivans weren't so big and bloated. 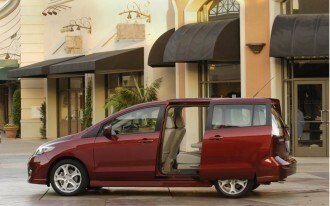 Remember when minivans held true to what they implied (a van that was more manageable and carlike)? For those who’ve been turned off by minivans ever since they became so big and bloated—and frankly, for those who have hobbies, weekend projects, or small kids—the Transit Connect Wagon will fit right in. It really does handle and respond like a car, while getting good fuel economy, and we like how it doesn’t feel as frugal as its price tag might be.